A big thanks goes out to GeneX (with help from Eric Wagonsonner) for running the Iron Throne Tournament series, and to Andreas Haugstrup Pedersen for his excellent match play software. 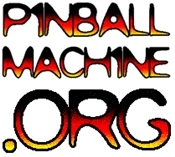 Also, thanks to STERN pinball for sponsoring the event with prizes. The series consisted of three separate events with cumulative performance qualifying players for the Final Battle, which was held on 11/8 at Gestalt in SF. As an added bonus, the Game of Thrones launch party was also held right before the Final Battle. See the full results below. Format for this was a straightforward one-and-done event. I got about ten games of Game of Thrones on Friday night at Hi Life in Oakland but of course, the launch party machine was necessarily tougher. I had a respectable game but nothing to cheer about. Andrei Massenkoff went into ball 3 with only 9 million points but rallied to finish at around 350M, only around 50M short of the winner. Now don’t get mad at me, internets, but I’ve never seen the show Game of Thrones, and still I think this game is awesome even with no attachment to the theme whatsoever. It’s very satisfying in a lot of ways, combining a few tight and risky shots with a ton of really fast flow shots. The sounds and light show are already good and with additional code I imagine will only get better. I haven’t been wowed right out of the gate like this since TRON. 1 Per Schwarzenberger 100 pts. 2 Ron Richards 99 pts. 3 Andrei Massenkoff 98 pts. 4 Darren Ensley 97 pts. 5 Ellen Frankel 96 pts. 6 Brian Madden 95 pts. 7 Jonathan Snyder 94 pts. 8 Josh Lehan 93 pts. 9 Jared Garvey 92 pts. 10 Gene X Hwang 91 pts. 11 David Joud 90 pts. 12 Jon Olkowski 89 pts. 13 Simon Anixter 88 pts. 14 Eric Wagensonner 87 pts. 15 Alex Pierson 86 pts. 16 Tony Good 85 pts. 17 Derek Pieper 84 pts. 18 Zac Wollons 83 pts. 19 Shon Dolcini 82 pts. 20 Ryan Blumenthal 81 pts. 21 Jessica Fernandes 80 pts. 22 Maura Devereux 79 pts. 23 Jeff Cleary 78 pts. 24 Chris Connelly 77 pts. 25 Rob Coli 76 pts. 26 Bob Albritton 75 pts. 27 Lisa Ramon 74 pts. 28 Jessie Reid 73 pts. 29 Jeremy Herrmann 72 pts. 30 Brian ONeill 71 pts. 31 Matt Willmarth 70 pts. 32 Jack Wasserman 69 pts. 33 Allison ONeill 68 pts. On to the main event, the Final Battle. 24 players were eligible and 22 ended up competing. The format was 3-strikes swiss pairings knockout. I started out rough but not awful, but by round 4 I was already at 2-2 and on the verge of elimination. This is now the fourth or fifth tournament where I’ve been in that situation and finally found my stride, so maybe it’s just something I have to live with. I had to play David Joud in a late round on Tales of the Arabian Nights, and managed to score under a million on it in a previous match, so I wasn’t feeling confident. To make matters worse, I’d seen David put up some pretty good scores on it. To add even more pressure, whoever won would win cash since they’d go on to the Final Four. History repeated and I only managed 3 million, but some of my bad luck must have spread because David had an even worse time of it at 2.25 Million. Sometimes you get the bad luck and sometimes you get the good kind. That round with David proved to be a bloodbath for several and left only three players still standing. I was up against Gene X and Rob Coli for all the goods and we were playing Game of Thrones. Both of them had one strike each while I had two. If I didn’t finish first I was out, because in this three-handed game, only first place didn’t get a strike. I got choice of order and opted for 3rd, though I briefly considered going first to try and put down some intimidation points. Sometimes a big ball one score can throw players off their game, but I considered that Gene doesn’t really get rattled and Rob seems to step up even more when he’s in the pressure box, so I nixed the idea. Gene and Rob drained rough and quick and my first ball went pretty well at around 170M, cashing in my first Blackwater Multiball for decent points. My second ball added more damage and I was up around 290M while Gene and Rob were both struggling in the 1/2 player positions into ball 3 with sub-20M scores. That put me at a big advantage: even if they caught me I’d still have one more go and could tailor my strategy to get to their scores as safely as possible. They had no choice but to go for big, risky, hail mary points to not only catch, but build a big enough lead to put the pressure back on me. Gene didn’t make it and left it to Rob to knock me out. Rob got some good flow going yet despite momentum he finished around 150. I got the ball 3 walk-off. Now all three of us were “marked men” and had two strikes apiece. We played Game of Thrones once again. This time whoever won the game won this four-event series, this culmination of a month’s pinball work, big pressure. I had a weird flashback of Dirk Diggler, staring at himself in the mirror, pulling out his junk at the end of Boogie Nights and saying, “I’m a star, I’m a star, I’m a star. I’m a big bright shining star.” Whatever. With Rob clearly getting the feel of the game a decent score was likely not going to do the job. I went to work and put up a big ball 1 at around 400M, but kept the peddle to the floor and by the end of ball 2, put up the biggest score of the day at around 960M. When the stars align and you can pull out your best game when you need it the most is a great feeling. Gene and Rob played off for 2 and 3 and Gene came out on top of that one. Alex Pierson rounded out the top 4. Thanks again to Gene and Eric, and to everyone who came out and played. See you at the next one!